Day One was a 42 mile milk run that went off pretty much as planned. It was similar to the ride I did earlier in the summer with my daughter, though this time we took a hillier route that got us out of town more quickly, and ended up at Celebration Park instead of Given’s Hot Springs. We had good weather and even some tail wind before grabbing burgers and beer at a biker bar in Melba. 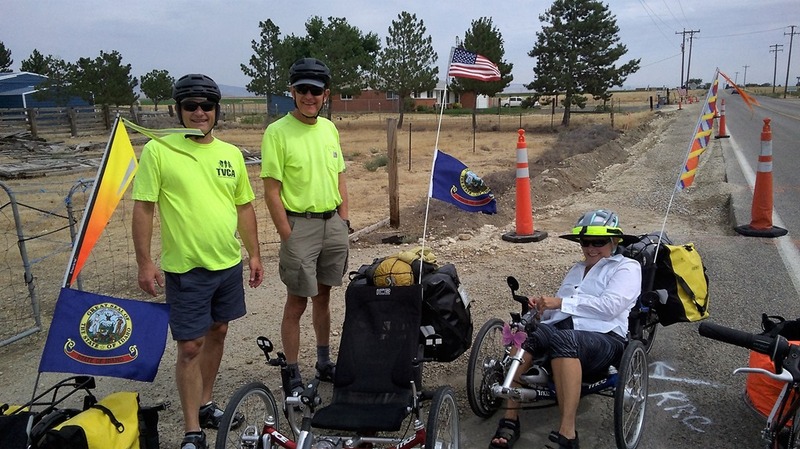 After that it was a screaming downhill to Celebration Park along the Snake River. Celebration Park is a county park unlike anything I’ve seen before. As one of the group remarked, it looks like someone scored a sizeable grant of money and went wild. Massive boardwalks abound as well as mysterious wooden structures of unknown purpose. There’s a nature walk through petroglyphs and an atlatl field. A boathouse and a museum. An array of solar panels to complement conventional grid power—my guess is they achieve some green energy requirement by net-metering solar power back to the grid. And most strategically, it offers potable water, flush toilets, and inexpensive tent camping. 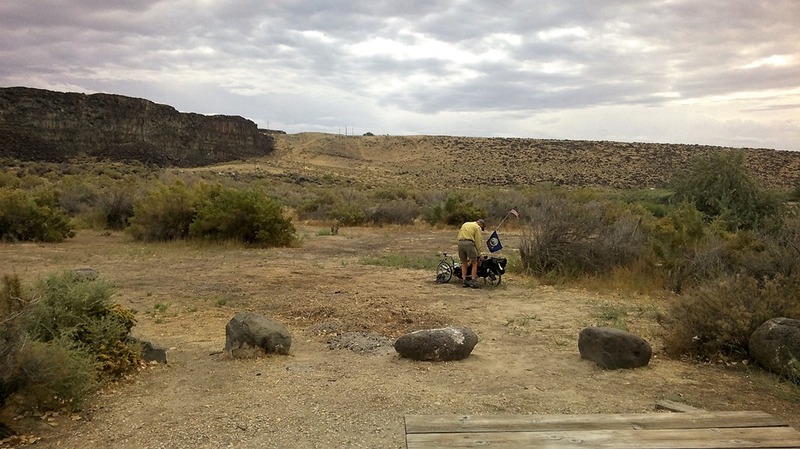 It’s a beautiful high desert park next to a winding river with massive bluffs on both sides.